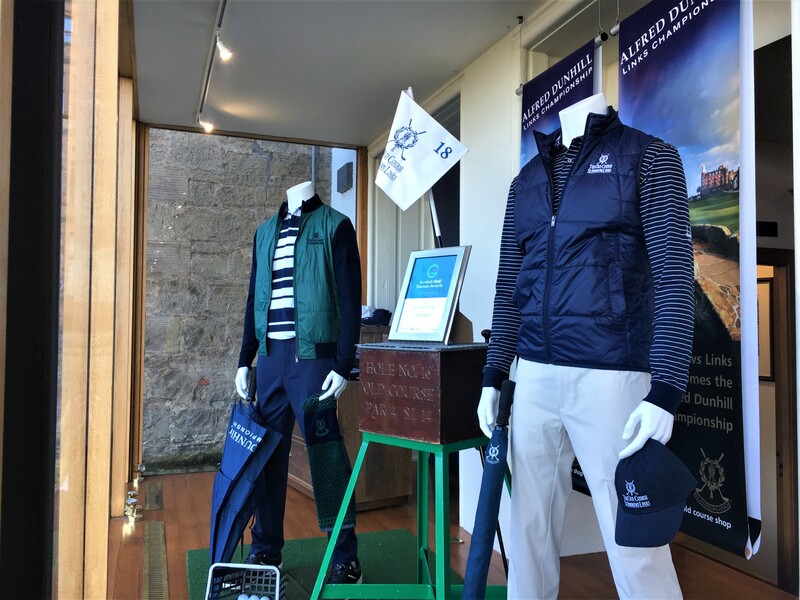 The Alfred Dunhill Links Championship brings the world’s top professional golfers and celebrated amateurs back to the Home of Golf every year. 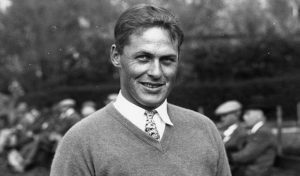 Alfred Dunhill has been associated with golfing events at St Andrews for almost three decades and this championship has long been one of the highlights of the European Tour. 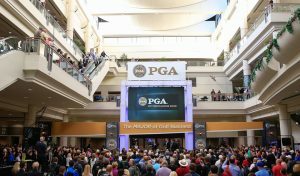 It has a special set up which includes two separate competitions; an individual tournament for the professional golfers and a team competition which features the amateur golfers playing alongside the professionals as a pair. The championship continues to attract players from all over the world and is a real celebration of links golf. 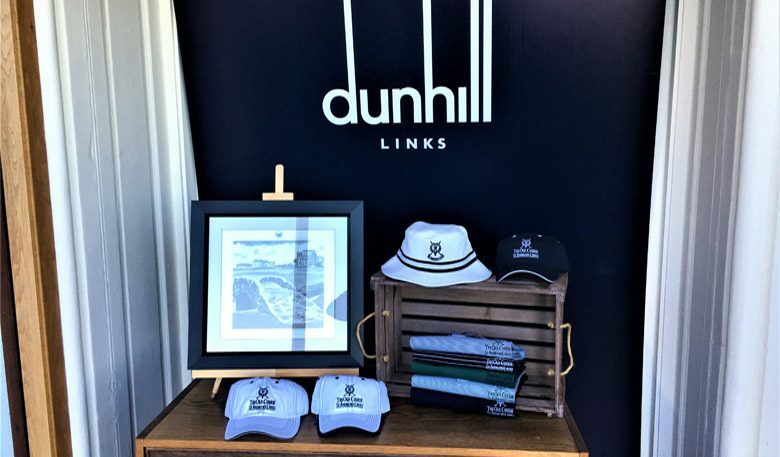 Making its return to The Old Course Shop, is the Dunhill Links Collection. This menswear range features a mixture of polo shirts, knitwear and outerwear pieces. Many of which are dual logoed with the Dunhill London and the Old Course, St Andrews Links branding. The main colours used are racing green and navy. 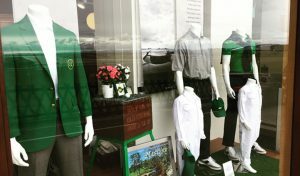 You can see some of the items on sale in The Old Course Shop below, or better yet, if you’re in town for the event, why not stop by and have a browse in person. From top left to bottom right: Muirfield gilet in racing green, signature tech trousers in stone and navy, 100% merino interlock cardigan in British racing green and Sloane Square stripe polo shirt in racing green and white. 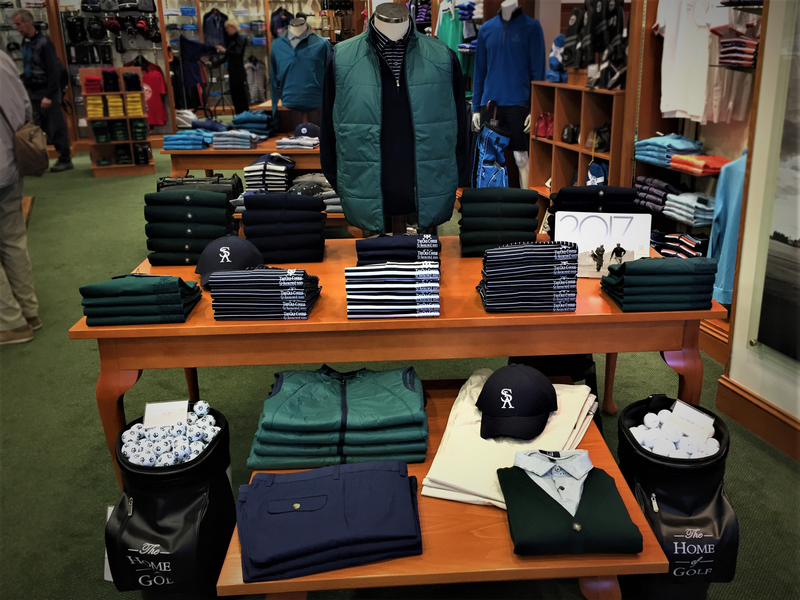 Left Mannequin: Hybrid jacket with a quilted front mixed with merino wool sleeves in racing green/navy, blair strip luxury pique polo in navy/white, signature tech trousers in navy. 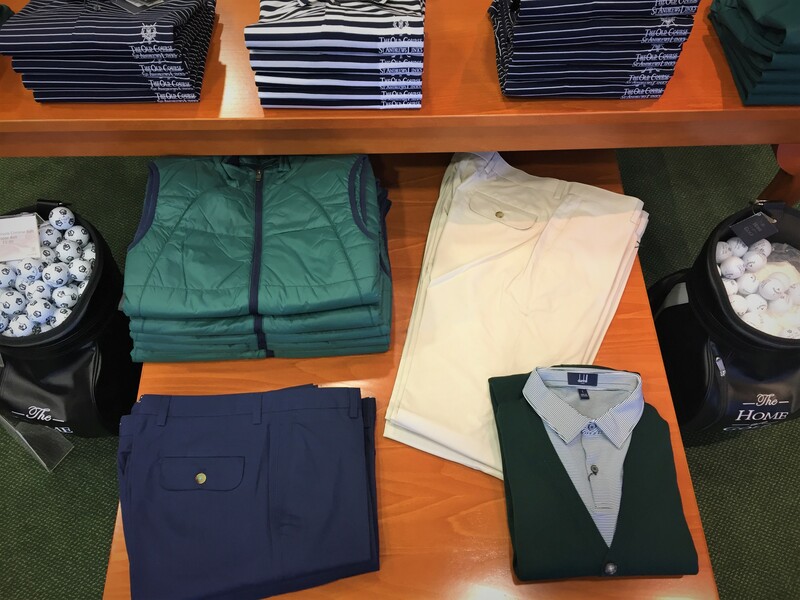 Right Mannequin: Long sleeve fine stripe cotton polo with rib cuff in navy/white, Muirfield gilet in navy, signature tech trousers in stone.